The new flagship Flyer comes in SUNdeck and SPACEdeck versions, says Alex Smith. 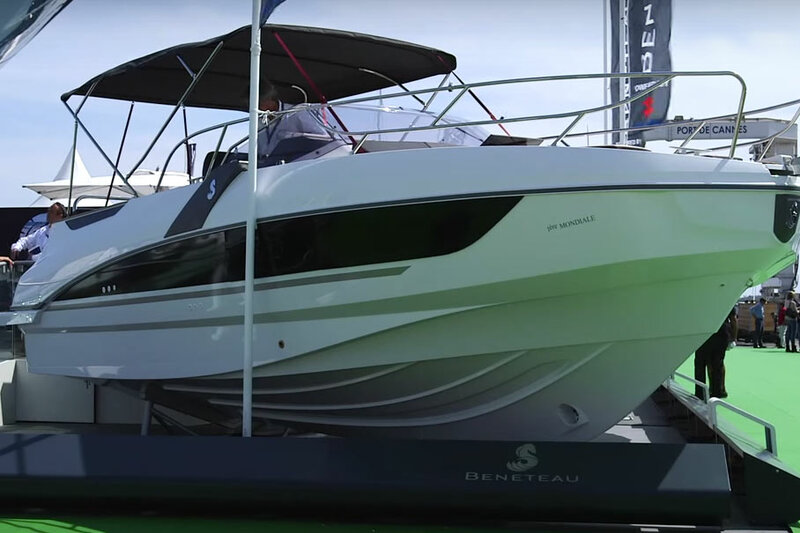 Beneteau is to complete its Flyer range with the introduction of a new 28-foot model (see previous models reviewed on boats.com: Beneteau Flyer 7: the new flagship is launched and Beneteau Flyer 6: three layouts – one video tour). Available in SUNdeck and SPACEdeck configurations, the new Flyer 8.8 will come with the latest generation ‘AirStep’ hull and a transom capable of accommodating up to 500hp. Where they differ of course will be in the nature of their internal fit-out and their likely applications. 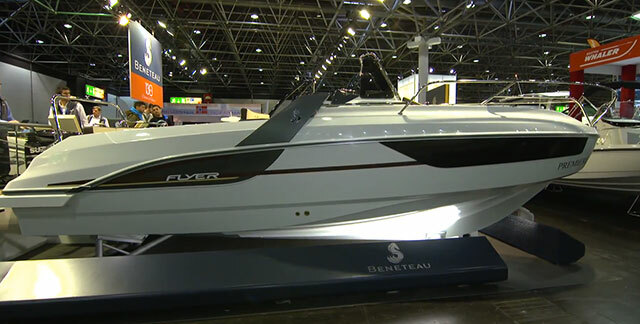 The Beneteau Flyer 8.8-metre model will complete the versatile new Flyer range. 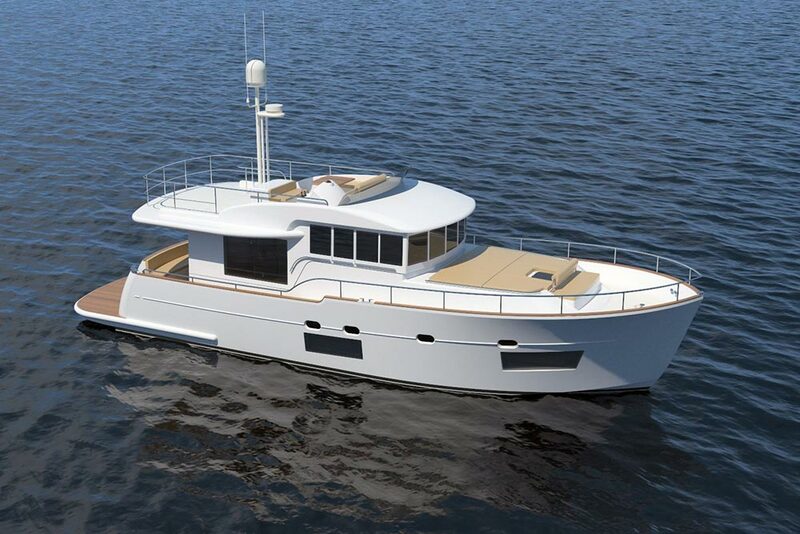 The SPACEdeck model will open up the deck with a central three-man helm station, an alfresco galley and an aft bench that can be replaced with a live fish tank and fisherman’s prep table. 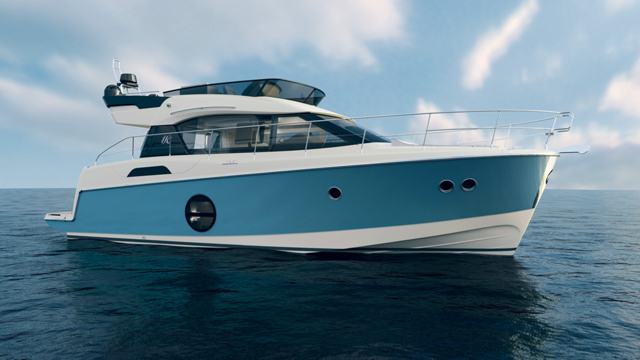 However, with the addition of a large forward cabin, a separate toilet and a second mid-cabin, this model looks just as well sorted for cruising as fishing. The SUNdeck version, meanwhile, is all about comfort and lounging space. 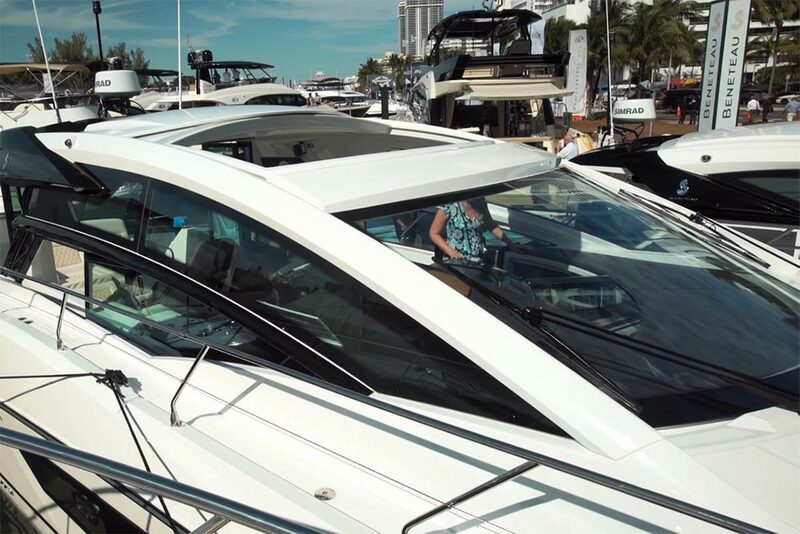 Up top, there is a large convertible aft sunpad supplemented by a foredeck solarium for two. It also offers sleeping for two and an arrangement of convertible furniture that enables the daytime creation of a generous saloon, but its open air arrangement will no doubt make it a particular favourite with Mediterranean boaters. A third (SPORTdeck) configuration (as previously seen on the smaller 6.6 and 7.7 Flyers) is currently conspicuous by its absence on the 8.8, just as it is on the entry-level 5.5. As a result, those who want the extra seating and watersports equipment of the bow rider layout may be a touch disappointed. But for those in the UK, it’s unlikely to be a big deal. After all, a 28-footer with sleeping space and a heads compartment is likely to get much more attention than one with the more esoteric fair-weather add-ons of a towboat. 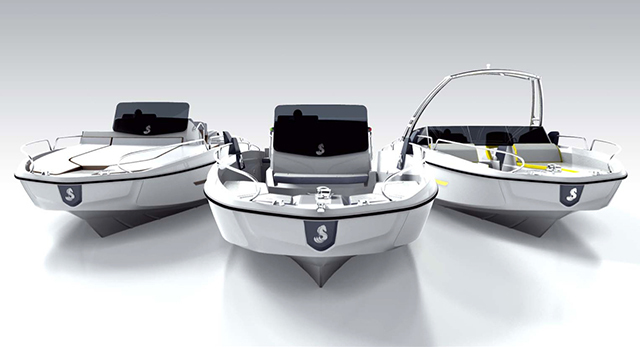 The extra size of the Beneteau Flyer 8.8 means sleeping space for four. If you want to take a closer look, the new boat will be available to view at the Cannes Yachting Festival in September (where the SUNdeck model will be on display) and at Paris’s Nautic Boat Show in December (where the SPACEdeck will make its debut). 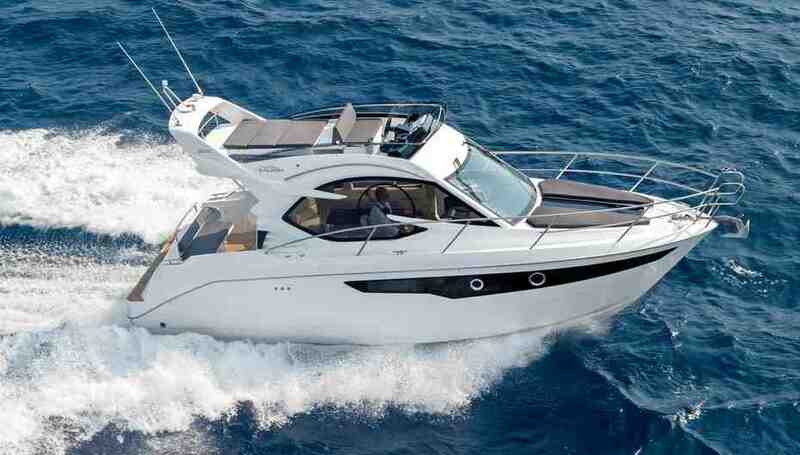 In the mean time, visit www.beneteau.com for more.